Privacy. That seems to be the new black. Let me start by being relatively inflammatory and saying: “People, you kissed your assurance of privacy good-bye YEARS ago”. It’s gone and it’s never coming back. That train has sailed. Those days are gone by the wayside. The fat lady has gone to bed. You get the idea. Fortunately, mixed metaphors and malapropisms will never go out of fashion. But back to this whole privacy thing…..
My parents were born during World War 2, children of farmers, raised in small towns. Anyone who grew up in Smalltown, Canada knows that Personal Privacy is a relative turn. I should think it’s always been much easier to lead an anonymous life in a big city, where throngs of people offer camouflage, safety in numbers….. However, despite the party line allowing others to listen in on your phone conversations and the postmaster reading your postcards, there is an illusion that the Olden Days were safer, more discreet, your identity and your personal information was private. In the Vault, as it were. But yes, “some guy in Belgium” was invading my Dad’s privacy– or so he thought. I never had the nerve to ask him more about this, whether it was just one guy (in which case he must have been very busy) or an army of guys, and why Belgium? Were we at war with Belgium and no one thought to tell me? I’ll never know the back story on that, but his words have stuck with me. Does anyone know if Mark Zuckerberg is Belgian? So, lately, there has been a lot of talk about FaceBook’s abuse of our Private Information. There has been endless articles, memes, viral “post this message on your FaceBook page and tell everyone!” status updates on this topic–every time FaceBook makes a change, in fact, to privacy settings and collection of information, it is a *click* heard ’round the world. In a recent ReadWriteWeb article, the latest about-face(book) that Zuckerberg enacted is dissected, hashed and re-hashed. There is a great deal of history referred to in the article, and it even includes some video footage of Zuckerberg addressing this issue. But the upshot is: “Your name, profile picture, gender, current city, networks, Friends List, and all the pages you subscribe to are now publicly available information on Facebook. This means everyone on the web can see it; it is searchable”. As I explained to my students the other day, that means even if you don’t HAVE a FaceBook account, someone could tag you in a picture and the World Will See What you Did. Is this information of critical importance for young people? Absolutely– adolescents approach much of life as if they are invincible and nothing can hurt them, or future scholarship and job opportunities. But what of the rest of us? Those of us who have reached the age of majority, and have accrued enough common sense to think twice about shot-gunning beer on our mom’s suede couch or skinny-dipping in broad daylight in the neighbour’s pool. In short, do I want some stranger searching my name and finding out how much money I make or what age I was when I started menstruating? Well, no, not especially. But do I want to continue to enjoy the freedoms offered by a 21″ iMac and an ADSL connection to roam the world and find old friends and get good bargains? Hells yeah. But more importantly, what IS “privacy”? Unless you live in a walled fortress, own no credit cards or subscribe to magazines, and are independently wealthy, never applied for a Social Insurance Number or a Health Care Card, never connected to cable, phone, cell phone or satellite….unless you live like an absolute hermit, unplugged, unwired, unknown…. To me, I think it’s time we re-invented our notion of privacy, and also took a look back at the Good Old Days. Just because information didn’t travel as quickly in the pre-digital age, it doesn’t mean it wasn’t available. Paparazzi digging through a celebrity’s trash is old skool tabloid-style. Hacking into someone’s Twitter account = SPAM-tactics. But following links from a wikipedia to a website to a blog to a YouTube video is simply the way of the world, the way term papers are written the way email accounts get clogged up, the way we communicate. A few years ago, I never used my real name online, I never posted my photo, I never mentioned the town I lived in or the school I worked at. Now? I’m still cautious. I don’t post pictures of my kids with their names, my oldest does have a FaceBook account, she does not use her last name (but does use her legal first and second names). I do include my full name, alternate email address, YIM/Skype/iChat logins on most emails, I don’t display my cell phone number. All those things considered, if someone wanted to find me, and find out a lot of information about me, it wouldn’t be difficult. I got to thinking about all of this today as I was following a route programmed into my GPS. Which knows exactly where I am. And so does my cell phone provider, come to think of it…..and even with the information on those two devices, a person could find out an awful lot about me…. The point is, why would someone do that unless it was with nefarious intent? And if that’s the case, malice is not limited to the Internet. 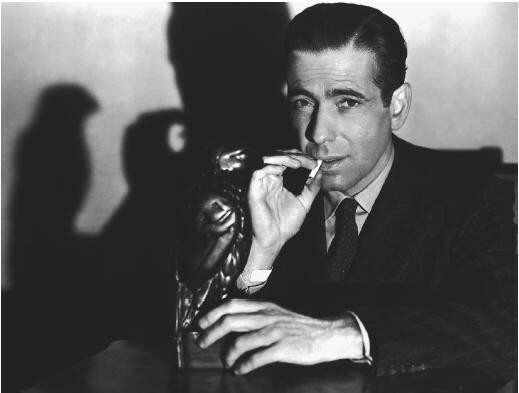 Have you ever watched any old Sam Spade or Perry Mason movies? Heck, even an old episode of Hogan’s Heroes will convince you that there is no such thing as secrets, and privacy is, and maybe only should be, limited to a few rooms in your house. This is Sham Shpade, shee?